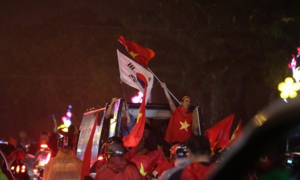 Vietnam's victory over the Philippines was adorned by several moments that fans will treasure for a long time. 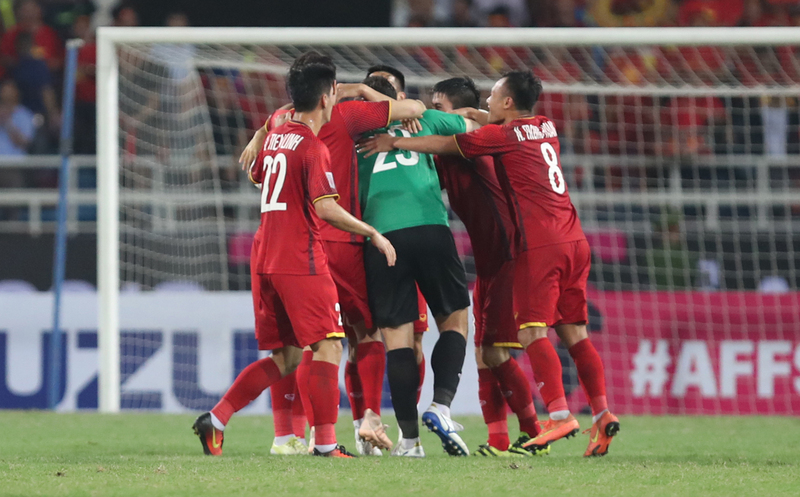 Vietnam advanced to the final of the AFF Cup after a long gap of 10 years with a 2-1 victory against Philippines in the second leg of their semifinal match at the My Dinh National Stadium in Hanoi on Thursday night. Here are some of the more memorable moments captured during the match, on and off the field. 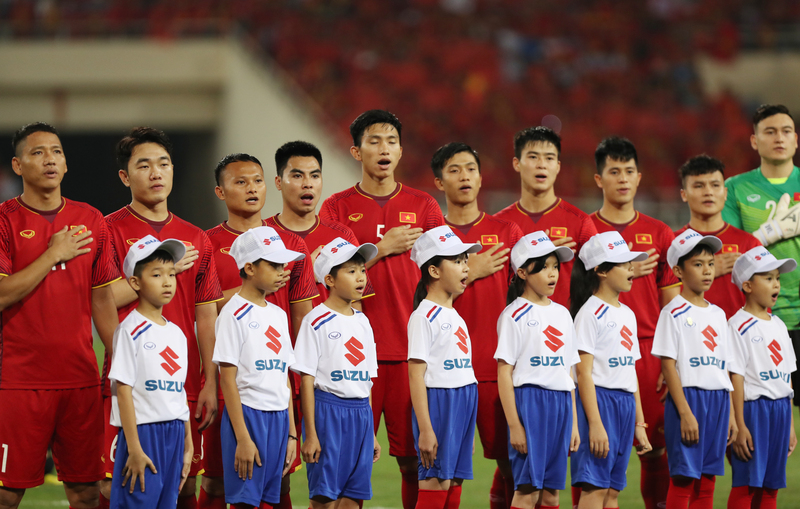 Nation’s pride: Players sing the Vietnam national anthem before the match. All walks of life: Prime Minister Nguyen Xuan Phuc comes to watch the game and support the national team; and talks to a small fan. 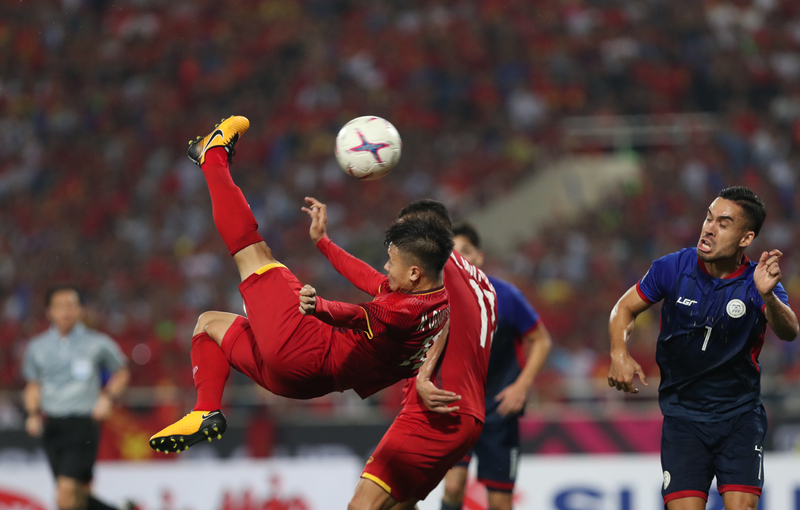 Superb effort: Nguyen Quang Hai performs a great bicycle kick, but it goes straight into the hands of the Philippines goalkeeper. 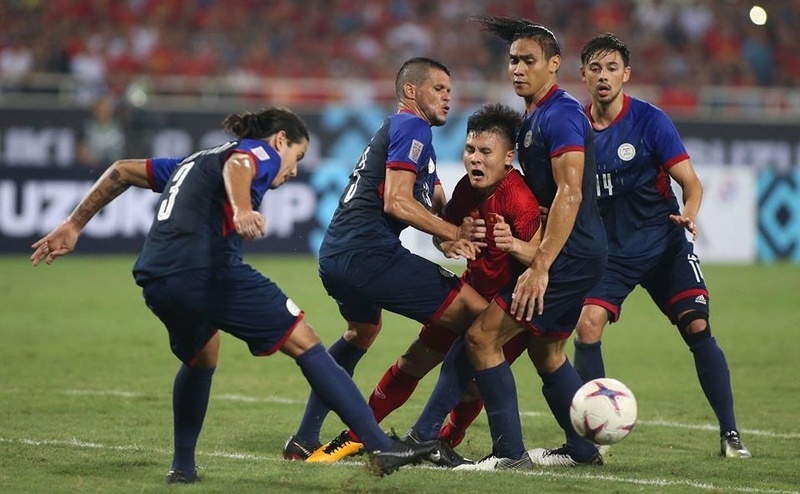 Pulled down: Nguyen Quang Hai is fouled as he tries to collect a pass from his teammates. 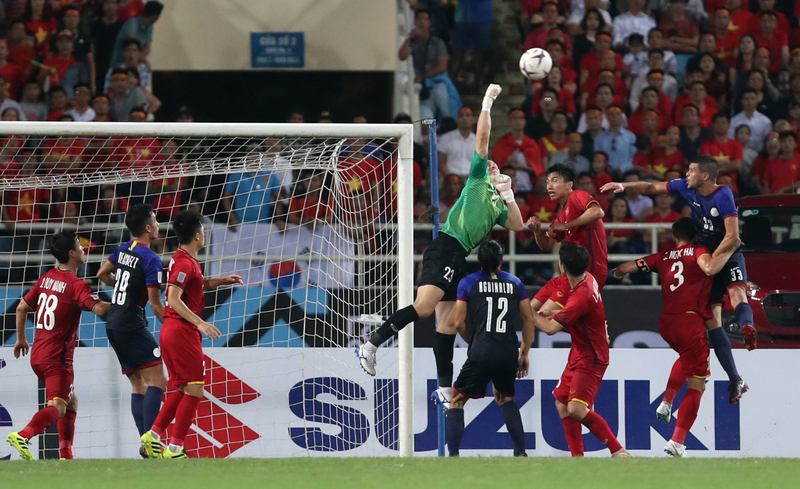 Diving save: Dang Van Lam makes an excellent effort to deny the Philippines a goal. 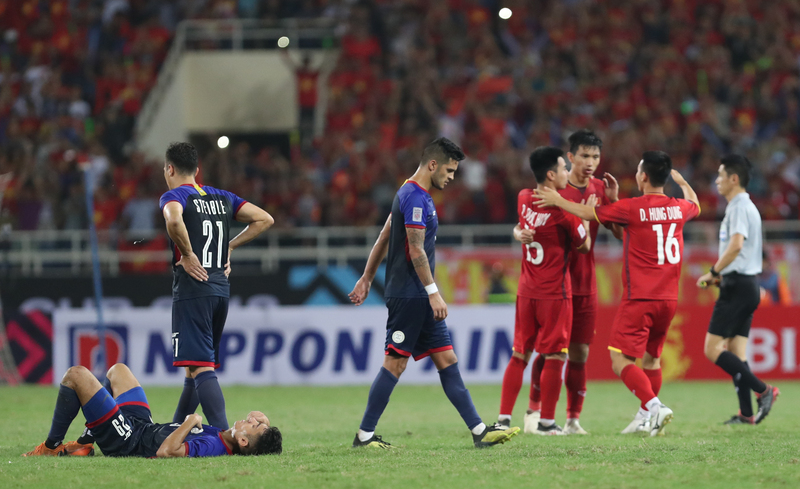 Surrounded: Nguyen Quang Hai was fouled four times in the match, more than any player on the field. Here, he is locked down by four Philippines defenders. 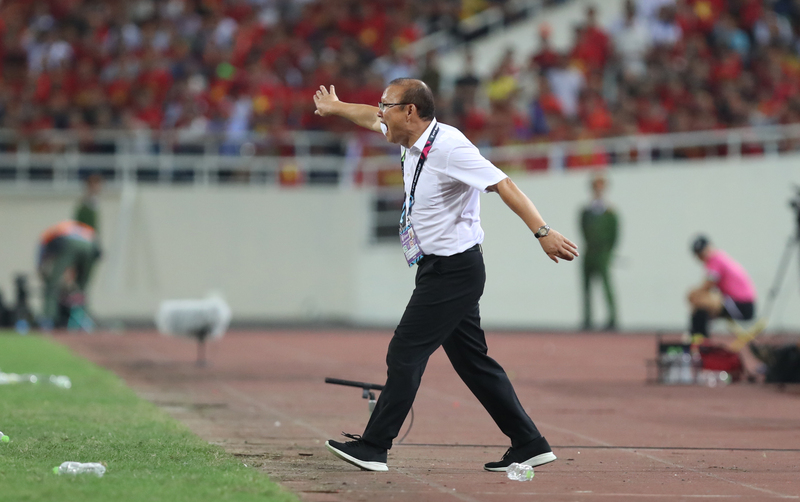 Right moves: Head coach Park Hang-seo made three substitutions in the game, and one of them brought Vietnam the second goal. 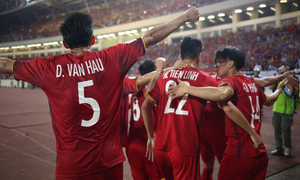 Take that: Despite being fouled several times, Nguyen Quang Hai answered with a goal in the 85th minute. 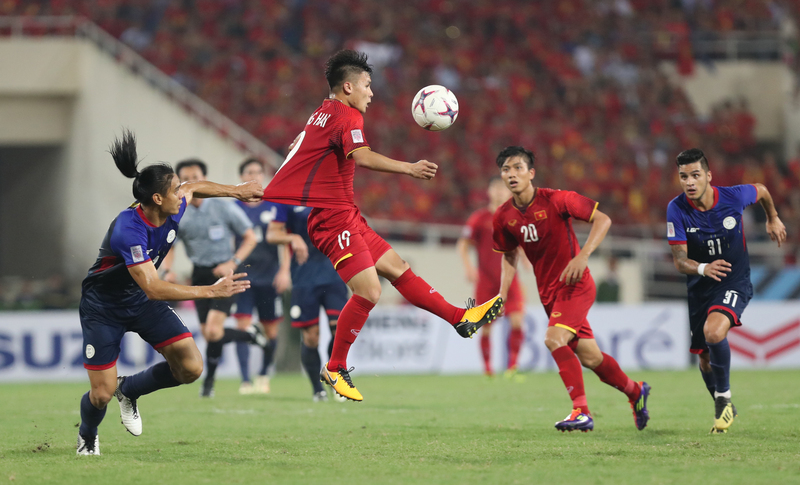 Super sub: Nguyen Cong Phuong scored the second goal for Vietnam after just three minutes on the field. 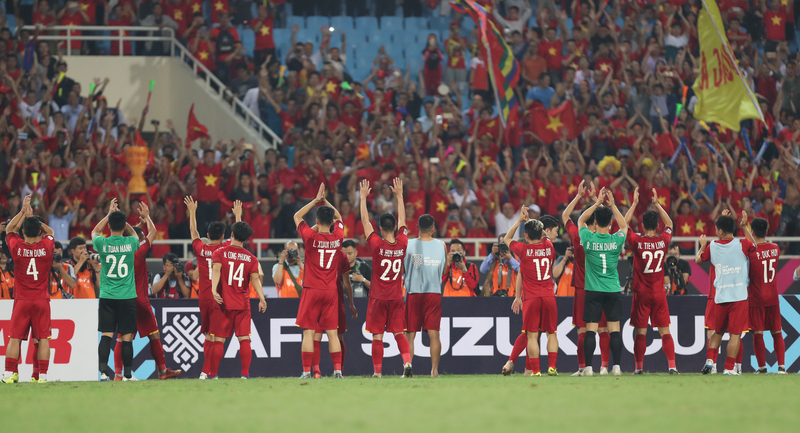 We’ve done it: The Vietnamese players celebrate after the final whistle. Study in contrast: Two different emotions. Gratitude: Players head to the stands to thank the fans after a great victory. Not so fast: A fan tries to get on to the field but gets stopped by security. 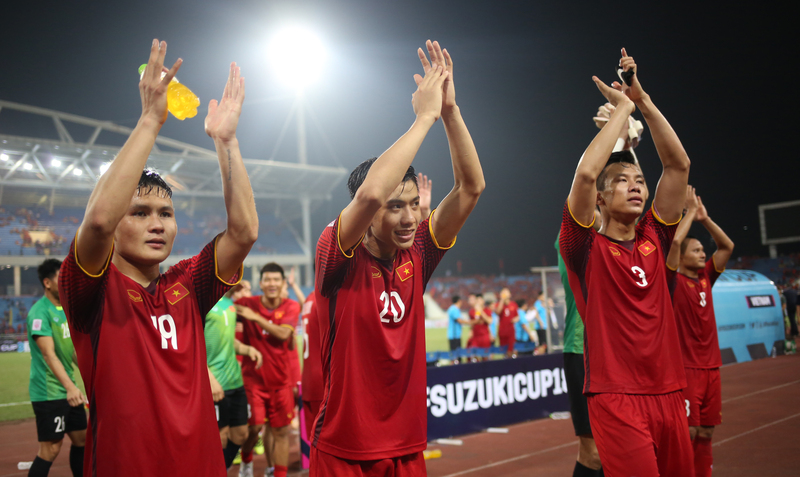 Upcoming thrills: Vietnam will play the first leg of AFF Cup 2018 final against Malaysia on December 11, at Bukit Jalil Stadium, Kuala Lampur. 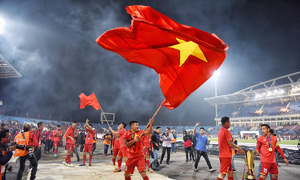 The second leg will kick off four days later, on December 15 at My Dinh National Stadium.